With her mother’s death two years before, her father’s recent marriage to a woman she doesn’t get along with, and then finding herself engaged to a man she isn’t even sure she loves, Ruth Goldman has decided to take a year off to discover what she wants in life. It’s the early 1930s, and with a small savings, the support from her much older and life-long best friend (her family’s servant,) and little knowledge of the common world, Ruth sets off to Cambridge, England, where she will meet some ‘different’ characters, learn what life is like for a single, independent working woman during the depression and befriend a young man who makes up for his lack of looks with his wit, amusing idiosyncrasies and his love for practical jokes. On her adventure of self-discovery, Ruth will find more than she ever expected. Unbeknownst to her, a secret hides within her family that will eventually enlighten her to herself and to her past and permanently change the direction of her future. 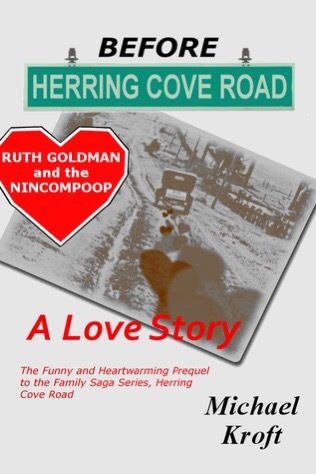 The Prequel to the unique, evocative and not-so-nuclear family saga series called Herring Cove Road where a small group of troubled individuals, dealing with their own personal issues, accidentally come together to form a family unit, and then while struggling to maintain it, are forced to deal with its dark results, such as: racism, death, murder, suicide and much more. Taking place primarily in the 70’s, with believable characters and mostly situated in several areas of Halifax, Nova Scotia, the series chronicles the actions (and their results) of an old and introverted Jewish man, his doting and take-charge wife, a young and struggling single mother, her naive and lonely son, and a boy streetwise beyond his years. I do not read too many series because I get tired of the same ole same ole! This series has something different in every book. Here is my review for Volume 1. It is by far my favorite. However, this is my second favorite in the series. I adore Avriel. He is the perfect Nincompoop. His love for Ruth comes through loud and clear. He always “has her back”. His personality oozes off the page and he is the perfect match for Ruth. It just takes her a little while to see it. Ruth is such a strong woman. She goes against the grain to be different, especially in this time period where women stayed home and had babies. Ruth is determined to make her own way. She moves away from home and finds a job. Granted it is a job, which she finds out later, instigated by her father. You need to read the book to see how she reacts! These two are perfect for each other. Their love for each other overcomes their flaws. This is a wholesome, heartwarming series with wonderful characters. Like I said…. I just love Avriel! This sounds like a good read especially if its another favorite from the series. 🙂 Your summaries bring things to life. yes but your opinions are more description than “I like it or I don’t like it”. This is true!!! Thank you very much!! What a terrific review! It’s great to find a book, story, character that makes you want to read more about them.